HomeNewsAre you ready for Teddi? 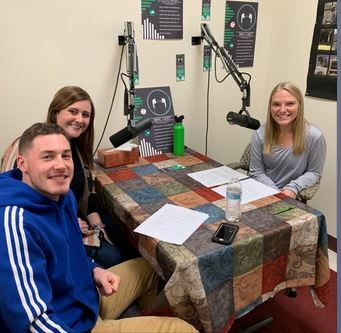 Alex Prayne, right, interviews Allison Smith, center, and Tyler Adams, left, about the Teddi Dance for Love. In this special bonus coverage produced by the MAC Cast project of the Department of Media and Communication, a leader of the Teddi effort. interviews two students who are deeply involved with the effort. Click here to listen to the 14-minute podcast.